A little brown and a little aqua make up these fancy little earrings. 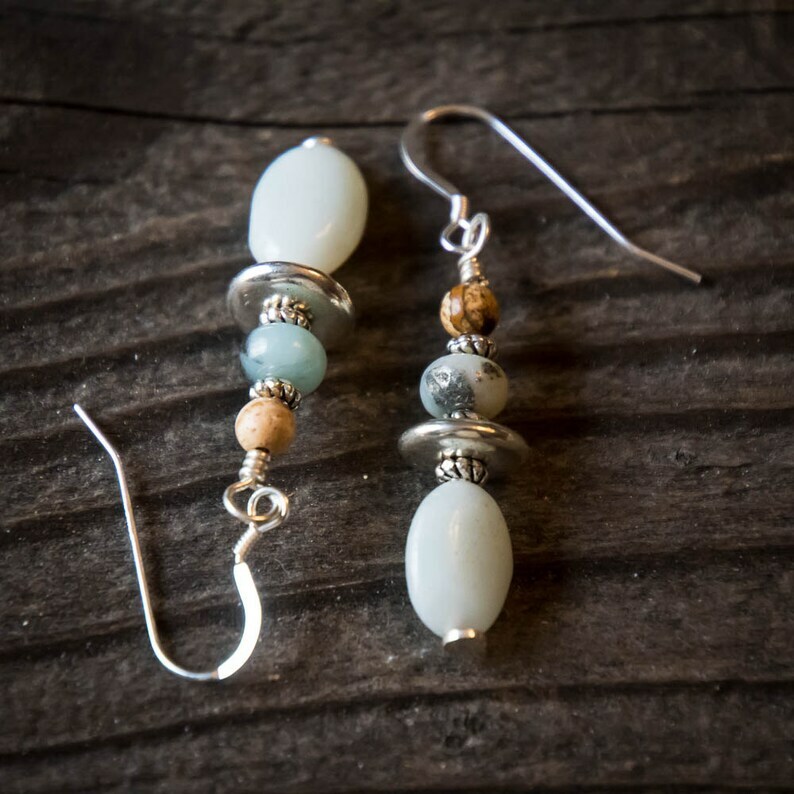 Made with a creamy pale blue Amazonite oval, darker rondel and a earthly brown picture jasper round at the top. These little guys are are just 2 inches (5 cm) long an sparkle the sunlight.